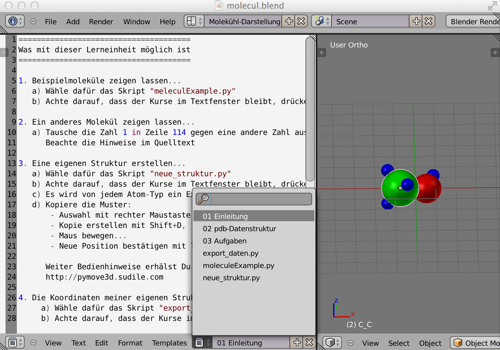 Atoms and molecules – an exiting use case for 3D. With this material it is possible to create molecules, other experiments outside of chemistry and just for fun. A script is guiding you to create molecules or other objects. Open the blend file and have a look at the examples. Add new molecules to the collection. Let students construct a molecule from a given set of atoms. 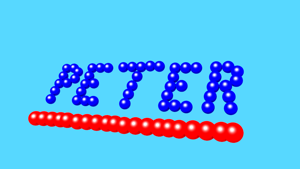 Working with atoms should be fun, how about constructing a name from a set of atoms. If a real molecule is intergrated in the name, as student can earn some extra points. All mentioned files are available as a collection within the blend-file.